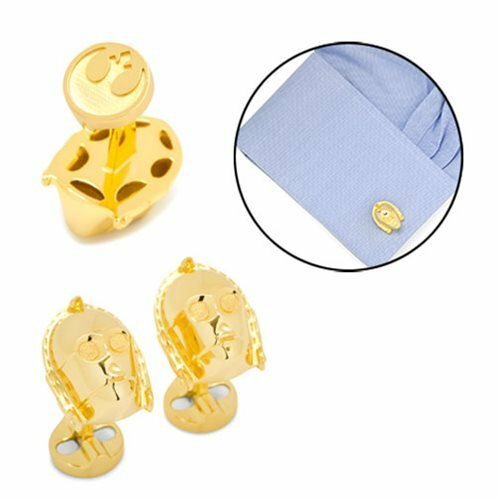 Show off your Star Wars fandom while looking sharp with these Star Wars C-3PO 3D Cufflinks featuring the head of the comical droid C-3PO in 3D form! Made of gold plated base metal, it has a round logo swivel closure that displays the logo of the Rebel Alliance. They measure approximately 3/4-inches tall x 5/8-inches wide.